Put an end to tangled wire! 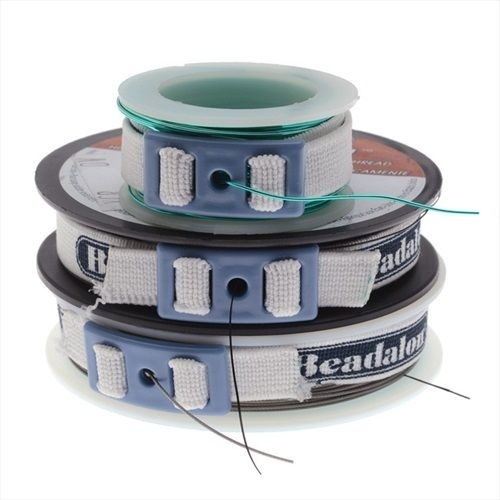 The Spool Tamer is an adjustable wire dispenser that helps keep your spooled wire tidy and easily accessible. To use, thread the end of the wire or stringing material through the hole in the buckle. Attach the band around the spool and tighten or loosen if necessary. Hold onto the tab and pull the wire through the hole to dispense. Great for every spool of wire and stringing material in your jewelry workshop!